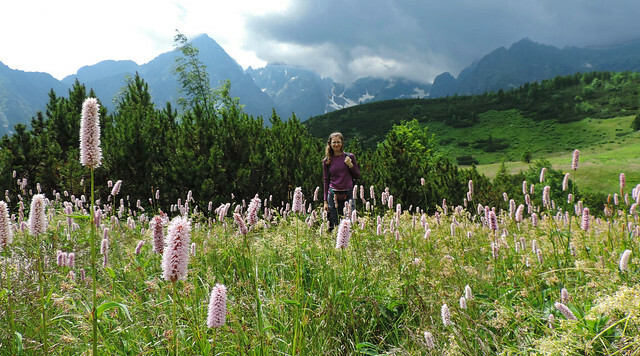 The Belianske Tatras (or Belianske Tatry in Slovak) is the Eastern mountain range of the Tatras and probably the least busy region in the High Tatras National Park. 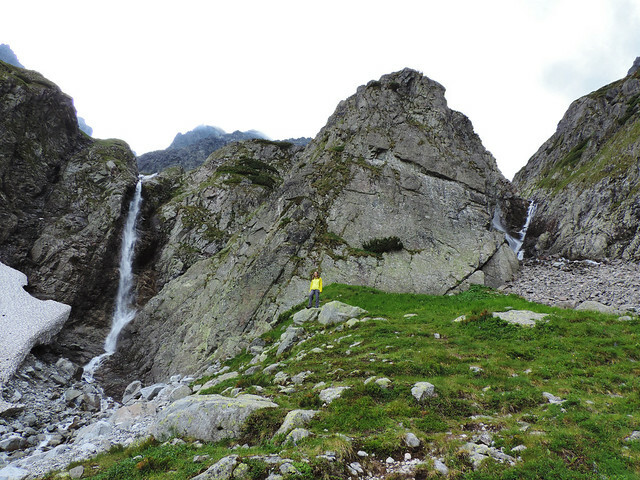 It’s mostly built of limestone and dolomite and it hosts the only cave in the High Tatras: Belianska Cave. 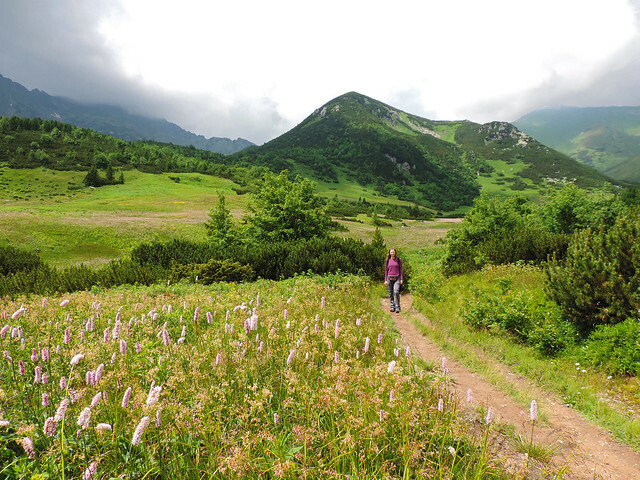 It offers a variety of hiking trails, most of them are long but not too demanding – at least if we compare them with the high passes and peaks of the central region. 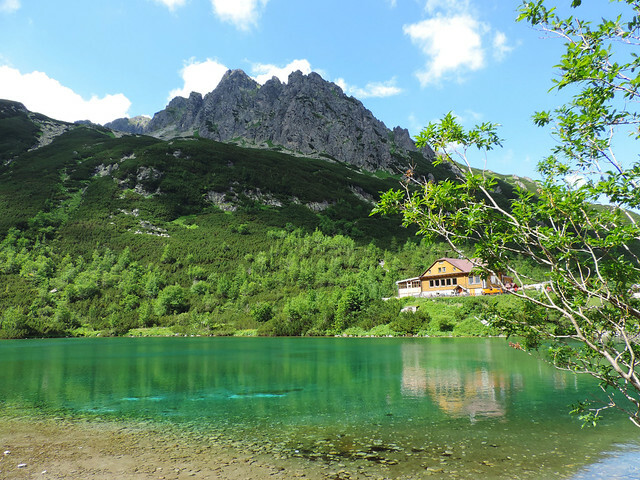 The day hike to Veľké Biele Pleso (White Lake) and then further to Zelené Pleso (Green Lake) was a fabulous hike through pine forests and wide meadows with views of the surrounding peaks from time to time. 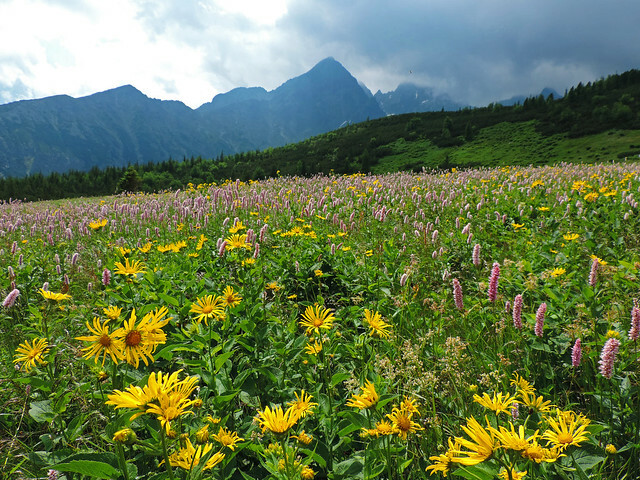 July was the peak of wildflower bloom, anyway, and it was a trail where we could really enjoy the views of the colorful meadows all the way. Do you have a favorite alpine lake?